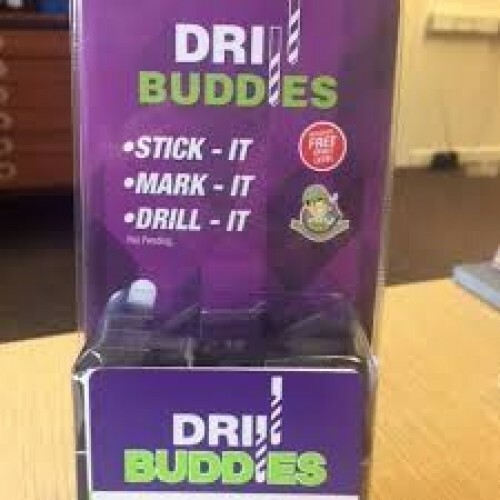 Drill buddies provide a marking solution so you can drill with precision everytime and hang your item with ease. 2.Peel off the backing of the smaller buddie. Line up the product with the wall or ceiling. Simply press the product onto the surface lightly, then pull your product away. The small buddie will detach itself and stick to the surface, giving you the ideal teplate to drill and hang your product.